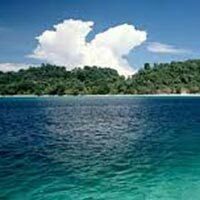 This morning Check-out from the hotel & transfer to the Port Blair Jetty to take a ferry to Havelock Island. On arrival Check-in to hotel. Enjoy the afternoon at the World Famous and Asia's best beach-Radha Nagar Beach(Beach number 7). Evening is free for leisure. Overnight stay at Havelock. After breakfast check out from hotel and transfer to Port Blair Airport for your onward journey with memories of A Life time Trip.